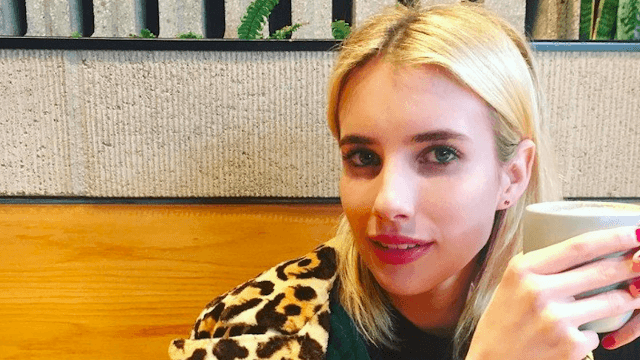 Emma Roberts just dyed her hair a new color that sounds delicious. Emma Roberts spiced things up by dying her signature platinum blonde locks a new color that sounds like it was ripped off from a Taco Bell menu. On Thursday, the Nerve actress debuted her newly dyed fiery red hair in a shade called "cayenne spice" on Instagram. Yum. The picture of Emma's new locks was uploaded by Nine Zero One co-owner Nikki Lee with the caption "Things got hot today ? ." The orange-red shade is definitely a departure from the fair hair the actress has been rocking for months, but she hasn't always been a blonde. She played around with warmer tones last year as well. Blondes may have more fun, but redheads definitely bring the fire.